After making her debut in Stegeman Coliseum to open the season, University of Georgia gymnast Rachael Lukacs has been named the Southeastern Conference Gymnastics Freshman of the Week. One of six freshmen to compete for the GymDogs, Lukacs is the only one to showcase routines on multiple events. She competed vault (9.825), bars (9.750), and floor (9.850) against Ohio State, contributing points to help the GymDogs to their best opening meet score since 2007 (196.600). The Hillsborough, New Jersey native finished only behind Georgia teammates on vault and floor. 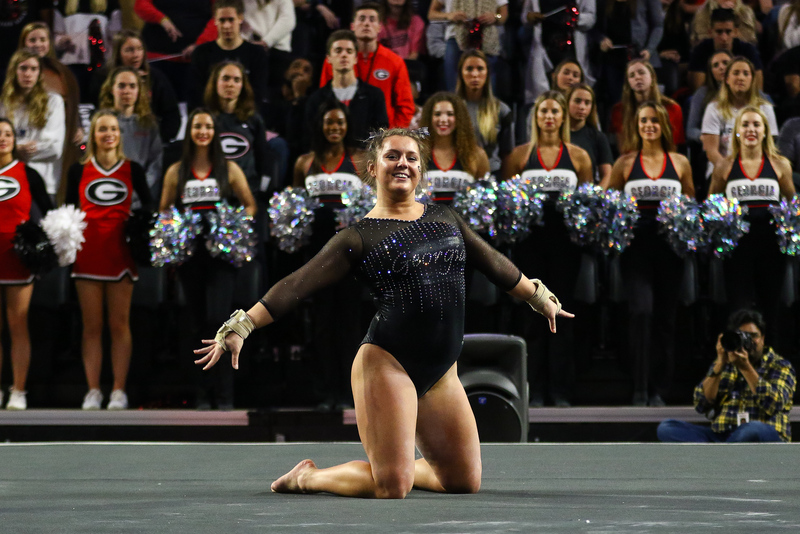 Lukacs and the fifth-ranked GymDogs will face their first road test as the team travels to No. 1 Oklahoma on Friday, January 11 at 7:45 p.m. ET. Georgia returns home to face SEC foe Alabama on Friday, January 18 at 7:15 p.m. in Stegeman Coliseum.